Spring is coming March 20th and it is long overdue. It has been months of cold and dark and people are tired of this weather. Here are some tips to start to consider to give you something to look for. 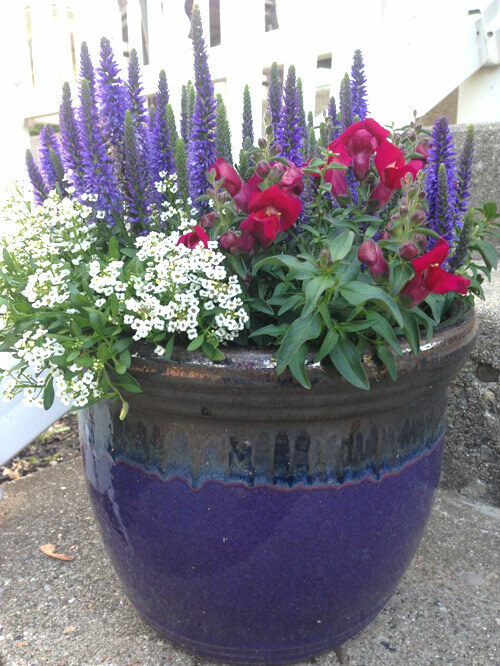 Potted Snapdragons, marigolds, petunias, violas, and dianthus can handle cool days. This means you will find them at your local garden center. You can pot them up now with success. Veggies such as broccoli, cabbage, potatoes, kale and onions will also do fine. Wait for warm days for impatiens, basil and tomatoes to pot up. 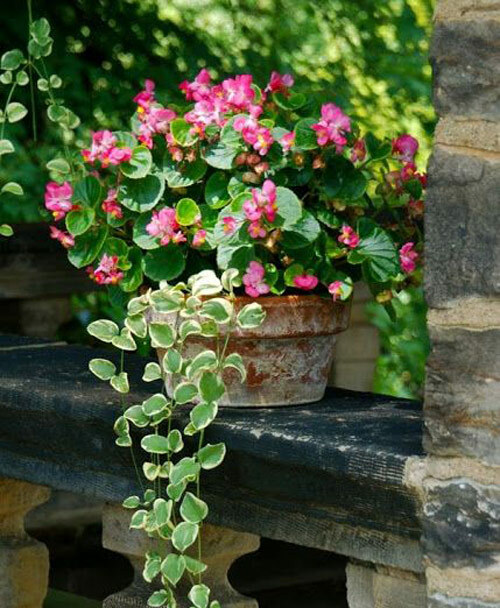 Potted vines offer vertical solutions for color, fragrance and shade on patio walls, and garden fences. They look lovely when draped over the side of most planters to add a new dimension. Good choices are jasmine, honeysuckle and cross vines. They are colorful and very fragrant. 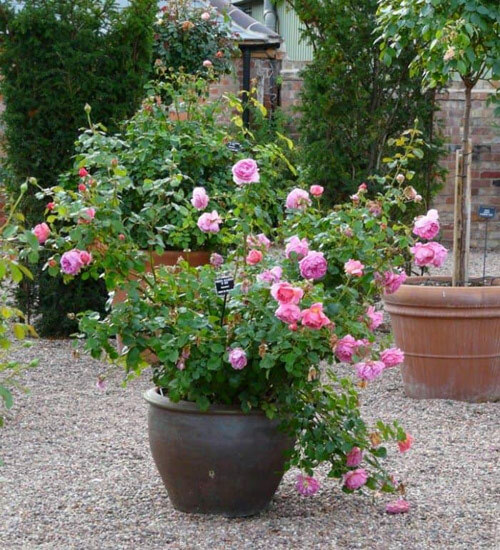 Now is the time to shop for roses to plant in our garden containers. 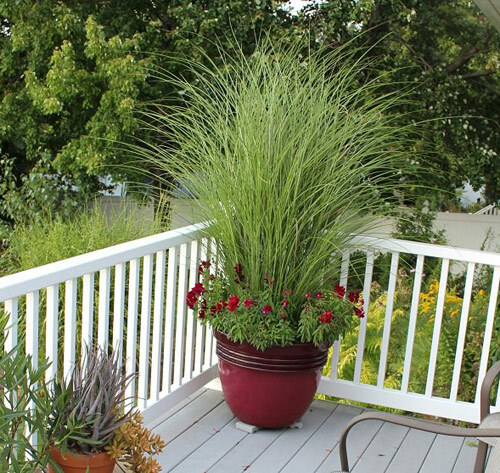 When placed on a patio or porch they offer stunning beauty and wonderful scents. You can find bare root selections now. By planting them early you encourage good root development. Be sure and add organic matter in the soil to help with drainage and improve fertility. 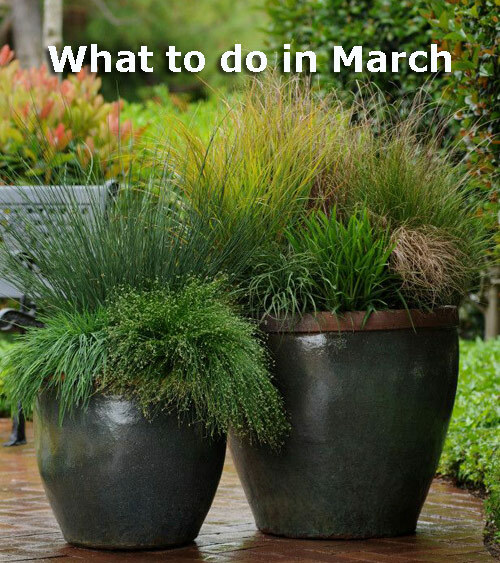 Lastly, if you have potted up some cool season grasses in your garden planters to get you thru the winter months, now is the time to fertilize those planters to help promote grow thru the warmer months ahead. Bluegrass, ryegrass and others all love the types of fertilizers that are made for their particular types.